Maintenance Program | Atlantic Refrigeration & Air Conditioning, Inc.
*Priority Service with a 24 hour emergency service 7 days a week. *Properly maintained equipment will run more efficiently, last longer and save you money. *Our Maintenance agreement offers two annual inspections and discounted parts and labor for all service and repairs. 2. Oil all motors which have oil access ports. 3. Tighten and adjust belts, replace as required: belts included. 4. 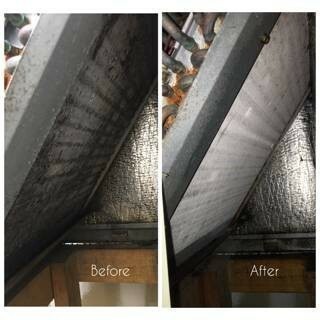 Clean and check condenser coils on air cooled equipment as needed. 5. Clean condenser fan blades where necessary. 6. Inspect air filters, clean or replace if required: disposable filters included. 7. Clean condensate drains on air conditioning and refrigeration equipment. 8. Make all necessary adjustments on cycling controls as needed. 9. Inspect refrigeration tubing for vibration and visually inspect system for signs of leaks. 10. Check oil levels on compressors which have oil sight glasses. 11. Clean accessible evaporator coils when necessary. Coils not accessible which need. Cleaning will be handled as a repair. 12. Check reversing valve operation on heat pump units. 14. Inspect and clean heater gas burner tubes as necessary. 15. Measure and adjust gas pressure as necessary. 16. Inspect and tighten all electrical wiring as necessary. 17. Test unit in all modes of operation. 19. Insure that all access panels are installed properly. 20. Explain any service problems or recommendations to customer. 21. Submit written report on condition of equipment needing repair. 22. Check water flow on Geothermal Systems and adjust as needed.